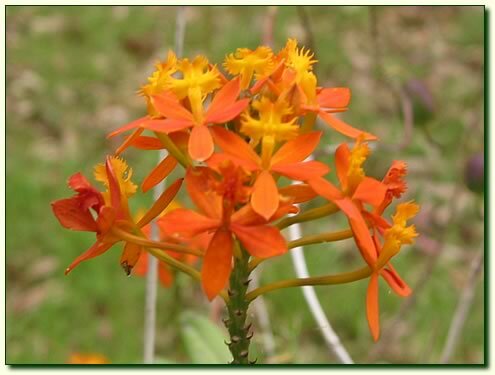 Crucifix orchids are extremely tough and they have vivid, long lasting flowers. They can be grown in containers in a free-draining mix, amongst rocks in the garden, or in soil. The common name 'crucifix orchid' refers to the lip of the flower, which resembles a small, gold cross. They like a frost-free climate and flower best in a full sun position, but can also handle shade. Drought tolerant.